Some people believe that forgiveness is just a verbal confirmation of "we're okay"---"we're good," until later down the road, the offense has been brought up again by the person who was hurt. Most likely, the person who holds all the resentment and bitterness will usually regurgitate the offense over and over throughout the relationship. They truly believe they have forgiven that person, yet they keep reminding them about what they've done in the past. That's not forgiveness. Remember the saying, "forgive and forget?" The forgetting part is hard, I know---but the concept of "forgetting" is about never bringing up the one thing that hurt you to the person who begged for forgiveness. See, when we bring up the offense, that's bitterness coming out. Imagine eating something bitter. That's the face you'll make when you bring up a past offense. Think about it. Truth is, you'll probably never forget that 'offense' or the hurt that someone else put you through, whether intentional or not. But the one thing you can do is move past it---move forward and choose to not only relieve them of this punishment you're dishing out, but also, the punishment you're giving to yourself. As that old saying goes, "Bitterness is like drinking poison and waiting for the other person to die." Bitterness and resentment will eat at you until you are emotionally and physically ill. Truth is, I thought I had forgiven someone for a past hurt, when in fact, I was storing up a whole lotta' resentment, which came out as bitterness. "Yeah yeah, I forgave them," but my actions, my words, my demeanor said something entirely different. 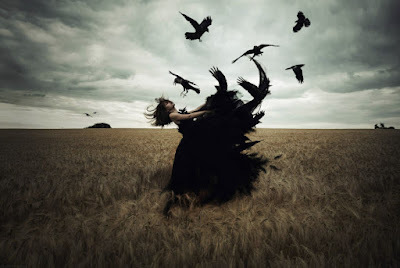 Until I truly forgave them, is when my heart calmed down and the anxiety lessened. It's when my sleep started to increase as well as my overall peace. I will say one thing that's an exception: you do not have to reconcile with the person who hurt you. Forgiveness doesn't mean taking them back into your life again---it simply means you have let it all go, to the point where you never think about it (this is where the forgetting part comes into play)---where you never bring it up again. That's forgiveness. Did You Know Unforgiveness Causes Stress On the Body? 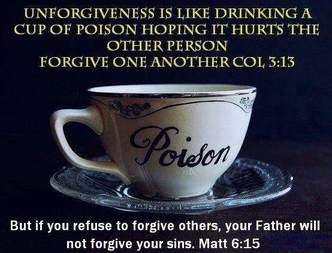 Through my own personal journey into truly forgiving those who have hurt me, I had to do a few things. This may not be 'your thing' --- but it helped me to let it go. You can try it in your own way and see how it works. For me, I confessed my sins to God, because not forgiving someone is a sin in my faith. 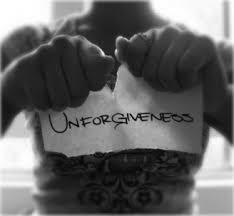 I confessed my unforgiveness and asked God for His forgiveness. I lit a candle for each person that I held resentment toward. It was a symbol of healing. I prayed for all of them, including healing for myself. I meditated and sent positive energy into each relationship I had with each person. Remember, even though you may feel empowered by holding onto a resentment somehow, the other person may be unaware of your strong grievance toward them---they may be going on with their lives happy and joyful, while you're still home seething over it. Let it go. Another way to forgive someone is to sit down with them and just talk about it one last time. Get it all out and tell that person how you truly feel about them. Because if you are really bothered by what they have done to you, you must still like or love this person. If you were indifferent toward them, the offense wouldn't have bothered you so much. Tell them how hurt you still are, and that you are trying to overcome this obstacle and that you love or care for them very much. It makes a huge difference. Write a handwritten letter to them in detail, explaining how you feel and how you would like forgiveness to play a huge role in your relationship. This is sometimes easier, since writing it all out is easier. Do not email or text this since it's a bit impersonal. Handwritten letter only. Make a list and write down everything good about that person. Make a pros and con list. Write down all of their good qualities, as well as their 'not so desired qualities' and see where you stand with that. Then make a conscious choice to really let it all go. Take some post its and write down each 'hurt' or 'offense' that person has done to you. Go to your fireplace, or outside to your fire pit and burn each one, symbolizing that it's no longer an issue in your life. Talk to an a psychologist or an online certified therapist if you feel more comfortable. An online therapist provides a 24/7 chatroom as well as video and phone sessions. It's less expensive than a face-to-face traditional type of therapy. I use BetterHelp, which has been such a blessing. Talk to an online therapist and gain some positive feedback on your situation. Talk to someone about your pent up feelings of anger. Don't be afraid to get the help you need---you're worth it. You deserve someone who can guide you and give you some qualified and trained tips on how to cope with these feelings you have. Forgiveness is healing, not only to the one who is being forgiven, but especially for you.